Samsung Nori F (SHW-A200) has been unveiled in South Korea. The mobile phone reminds us of the original Nori model (SHW-A220), now comes with the "Nori Folder’s uniqueness" that features a customizable LED illumination on the front. Samsung Nori F comes with a 2.8-inch WQVGA display, 3G, T-DMB mobile TV receiver, 3MP camera along with a 1.3MP front facing camera, microSD card slot supporting up to 16GB and 880mAh battery. 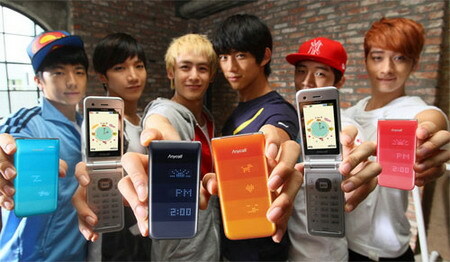 Samsung SHW-A200 aka Nori F will be available via SK Telecom, LG U+ and KT — with a price tag of 500,000 won which is about $426. 0 comments on "Samsung SHW-A200 aka Nori F revealed in South Korea"